Mui Ne, Vietnam often has excellent surf / SUP conditions for learning and improving - frequent typhoons around the Philippines in October to January result in some nice swells reaching our shores here in Vietnam. 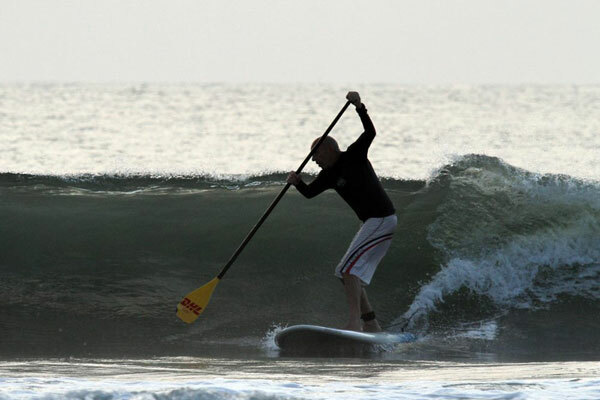 The off-season in Mui Ne (May to August) often has even better conditions for stand-up paddle - the wind is less frequent and the waves are often bigger and easier to ride - plus the water is quiet, and we have great low season rates available at most hotels. New in 2014/15: We are now offering unlimited free SUP board usage for early holiday bookings - more details here. The surfing is mainly beach breaks, with small and medium sized waves. 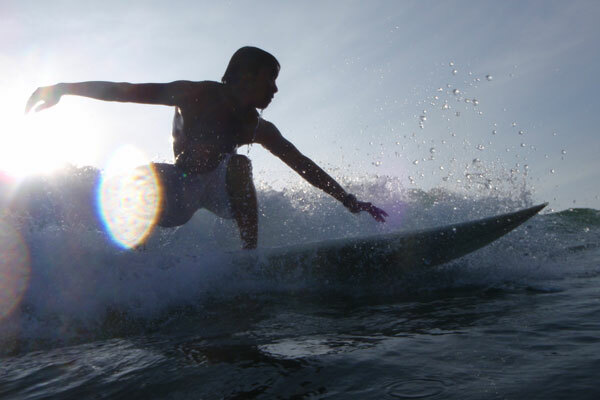 We offer surfing and stand-up paddle (SUP) surf board lessons and renta. 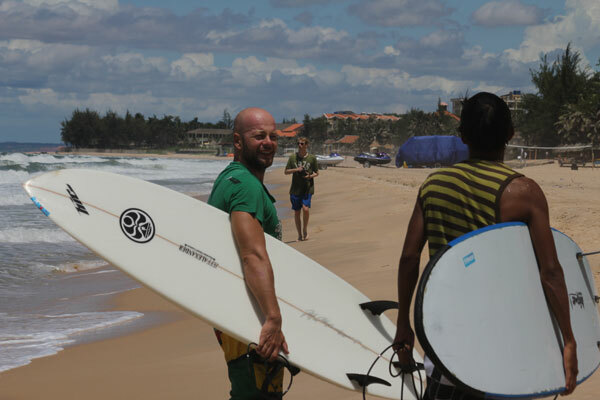 Surfing lessons are usually conducted on Hon Rom beach from October to March, where conditions are more favourable for surfing than Mui Ne beach. From May to September when the wind has switched direction, the best stand-up paddle / surf conditions are to be found on Mui Ne main beach. We have a full selection of boards for beginner to advanced, shortboards, fishes, funboards, softboards, longboards, SUPs and bodyboards. 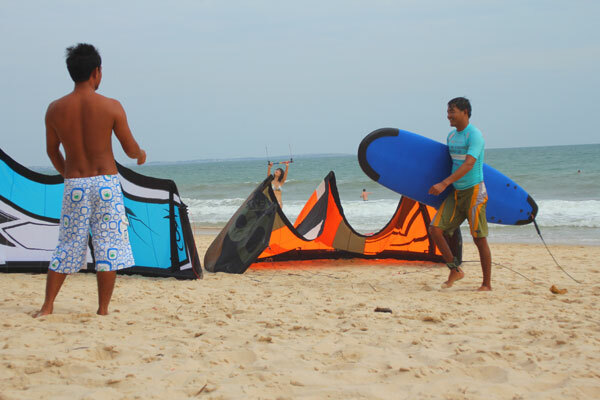 A lot of the kitesurfing residents in Mui Ne have taken up SUP surfing - it's great exercise and fun, even on flat water, and when the wind isn't blowing you can still get out on the water.